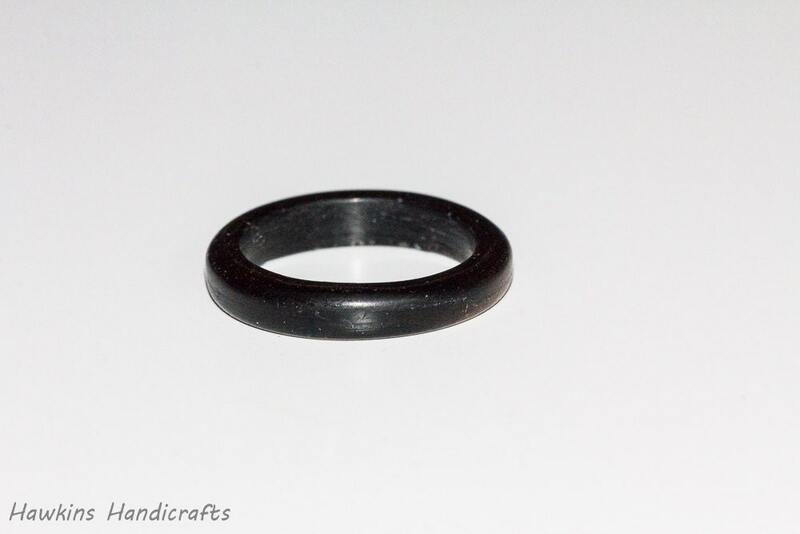 This is a hand-turned ebony wood ring custom made to your specifications - choose the size, width, and shape from the options to create your own handmade ring! 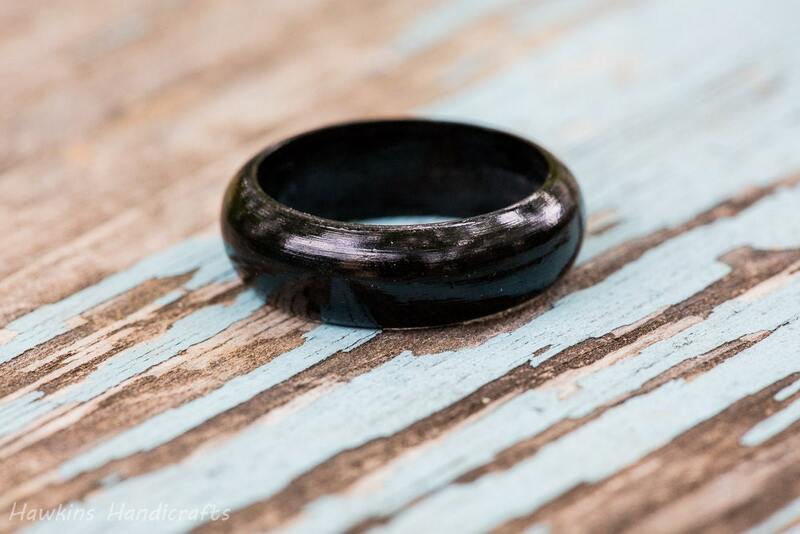 Your ring will have a similar look to those in the pictures, dark black wood with fine grain - but each ring is a unique piece of wood with it's own unique patterning with no two exactly alike! Ebony is one of the darkest woods, nearly solid black with minor bands of brown. It is fine grained and uniform, making it a really interesting material to work with - you may have to forgive people who mistake it for man-made materials. The ebony used here is quite black, with only minor banding of lighter wood, which will be minimized, but not eliminated (as shown in the pictures). Great seller, turned out beautifully. Love the box it came in too. Perfectly crafted! 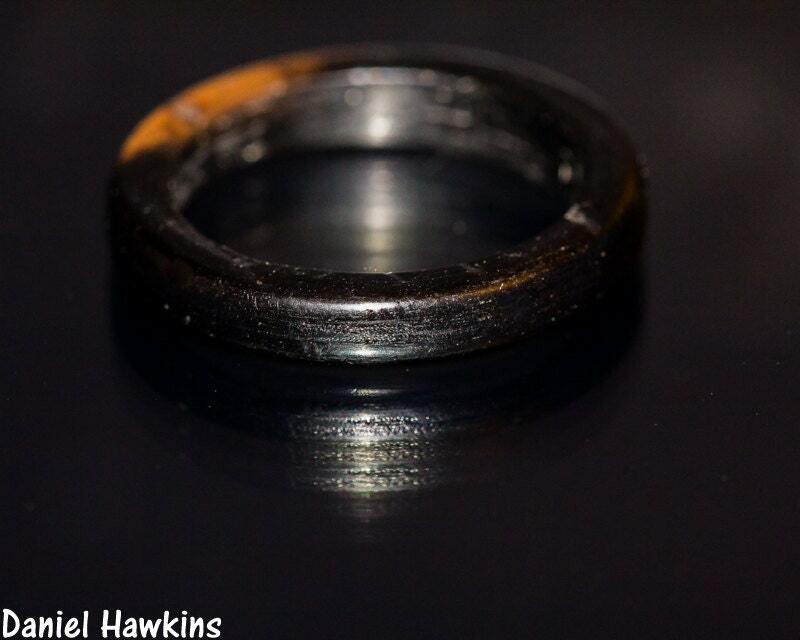 This is the second ring that I have purchased from HawkinsHandicrafts, and couldn't be happier. 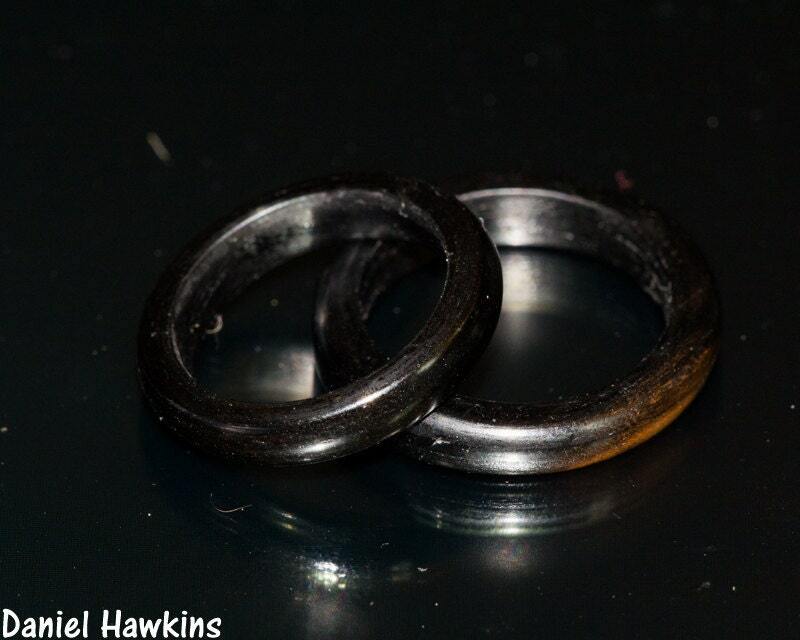 I have had this ring now a little over a month (Since August 24th) and the protective coating on the ring have started to completely fall apart. The ring itself is pretty, and it fits me perfectly with no rough feeling. 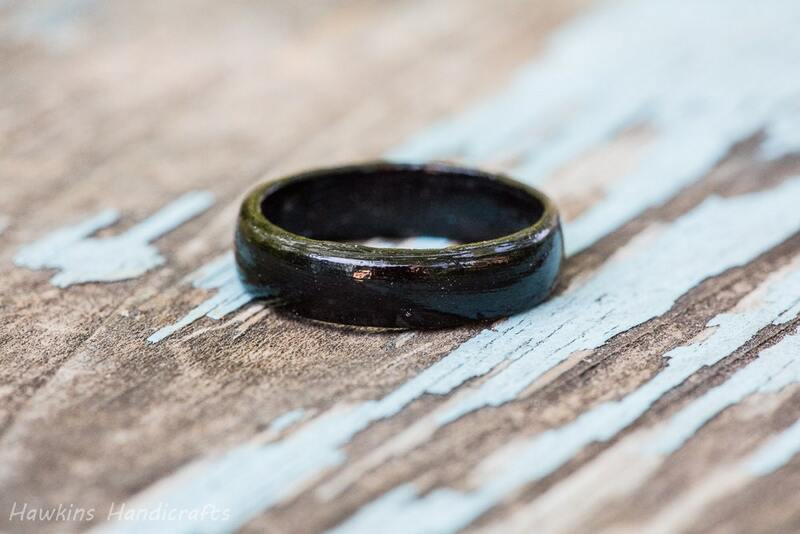 To me, quality is everything and for a $50 wooden ring it should have lasted longer than it has. Simple. Exactly what I needed. Seem's slightly thicker than I expected, but that's based on my expectation only. Also, the shop owner was very quick to reply and the ring arrived sooner than I expected.